It’s snowing again today and I wandered around with my camera for a bit. 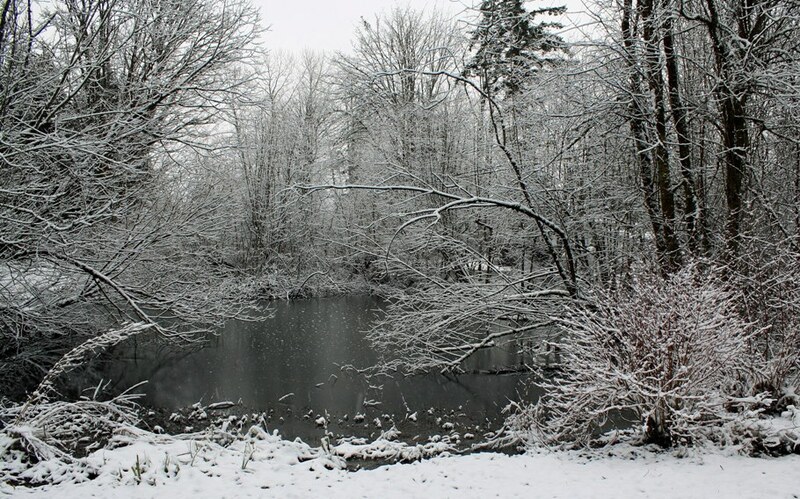 I really liked this picture of the duck pond down the road from me. You can click on the picture to see a larger version. This entry was posted on Sunday, January 25th, 2009 at 5:16 pm by Maura Anderson and is filed under Photography. You can feed this entry. Both comments and pings are currently closed.